Check out our guide to planning your home renovation or fill out the form to receive TABC’s Guide to Planning your Home Renovation. Contact The Architect Builders Collaborative Inc. for more information. Nothing is more exciting than creating a new design project for your business or personal life, and nothing will affect the success of your project more than the right preparation. This guide will give you the essential keys to consider as you prepare for your design project. We hope you enjoy this guide and look forward to your feedback on the contents. 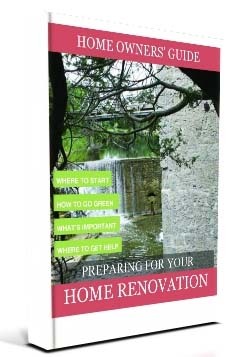 Check out our guide to green renovations or fill out the form to receive TABC’s Guide Green Renovations. Our team of architects and designers at The Architect Builders Collaborative Inc. collectively work towards creating green homes and green commercial spaces, for our clients. Our service areas include: Elora, Fergus, Guelph, Toronto & the surrounding areas.